Kirkby Activity Base is a centre where people in their later years can attend and enjoy company, increase their skill base and enjoy an active social life. They run a variety of different activities including music sessions, social outings to the theatre and shopping trips and many skill based activities which our clients enjoy. One of those is a ‘knit and natter’ group, who decided to work alongside the talented staff team to crochet poppies to raise money for the Royal British legion poppy appeal. 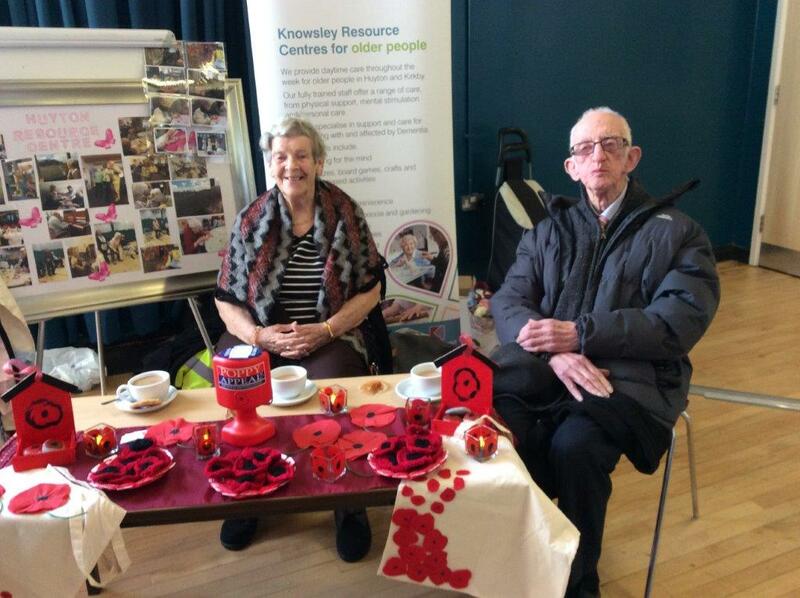 The two volunteers in the photograph then used their creative skills to weave baskets and paint glass candle holders which beautifully decorated the display table that they would use to sell the poppies; they then volunteered their time at an event to raise awareness for dementia. To contact Kirkby Activity Base please call 0151 443 4390.